I was going into my third year at a state college. Even with in-state tuition the bills and debt were piling up. I wasn’t sure if I would be able to afford to finish my education. The Hefar Group was able to help my family gain a better position for the FAFSA application. Since this is required for assessment each year I learned that I can potentially increase the amount of FREE money I can receive. 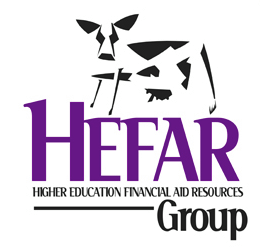 Contact Hefar before you put in your next FAFSA!